After a year away the Modulations imprint returns with something extra special to make up for lost time. With an abundance of electronic talent to choose being part of the Critical Music clique, this next release draws in longtime associate Stray for two huge experimental drum & bass bangers! 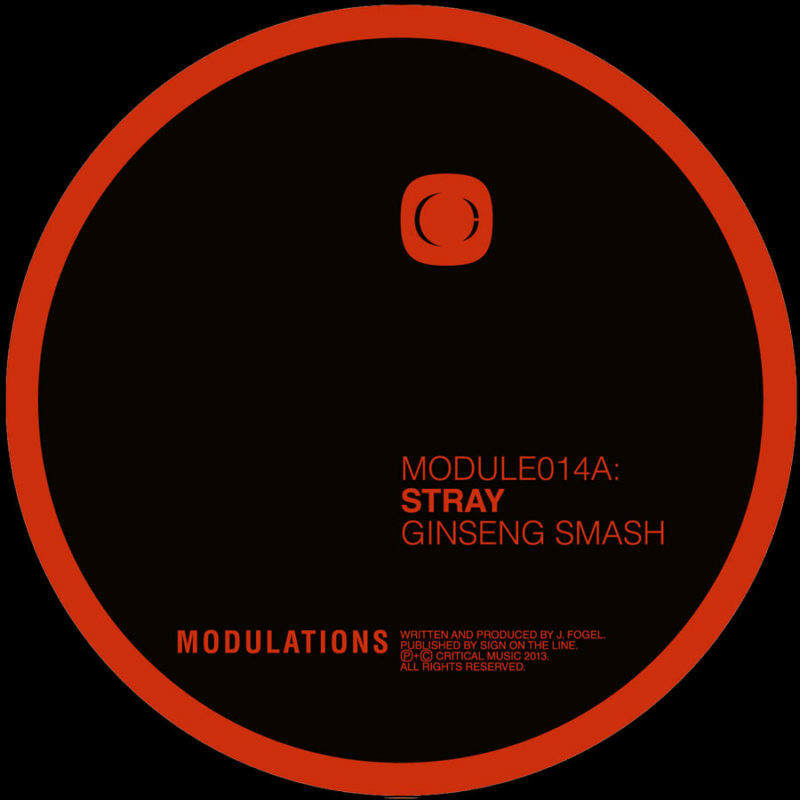 ‘Ginseng Smash’ is a pure old-skool vibe fest as Stray launches into it from the off layering on the breaks of yesteryear while a heavily disguised vocal sample draws us into the mix. Proper sub bass rolls on while the edits come thick and fast in this genius piece of retro jungle Drum & Bass for 2013. You need this!! ‘Akina’ plays on a half-time electro break full of hyper energized vocals that lend themselves perfectly to the current trap-infused dance floors of late. Clever jungle edits reset the pace interspersed throughout making this yet another unique slice of Stray studio sorcery.